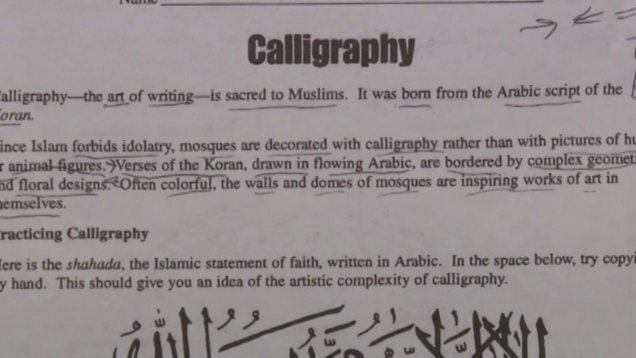 A Virginia school district has decided to close all schools on December 18 after a geography lesson that included Islam sparked vociferous complaints from around the country. Officials said the schools were closed out of an “abundance of caution” and there were no specific safety threats. Officials with the Augusta County school district were quick to point out that the study of a region’s religion and language are included in geography lessons. However, anger built up and by December 16 complaints had become so numerous that the school’s doors were locked and monitored. By December 18, the messages – described as profane and hateful – had increased and the decision was made to close the schools. However, future classes will use a different, non-religious example of Arabic. “It looks like fear wins again,” a resident told the News Virginian newspaper.